Infinite Peripherals, Inc. (IPC), a leading provider of enterprise mobility devices, has developed an iOS application that enables basic scanning into other iOS applications using a keyboard extension. ScanBoard is a keyboard emulator from Infinite Peripherals that allows any iOS application to receive barcodes from Infinite Peripherals scanners, including the popular Linea Pro® and Infinea Tab® product lines. Scanned barcodes will populate the active application's text field via keystroke emulation, and the app is proven to work within multiple iOS applications including Excel®, GoogleTM Sheets, Safari®, FileMaker® and Notes. Requiring iOS 8.2 or later and available for free on the Apple App Store℠, ScanBoard is an ideal keyboard wedge solution for the Linea Pro and Infinea Tab products. Users simply install the ScanBoard app, add the keyboard to the iOS keyboard list, open any iOS app that has an active text field, choose the ScanBoard keyboard and begin scanning. By combining ScanBoard with a Remote Desktop Protocol (RDP) application, barcodes also can be forwarded wirelessly to a remote PC or Macintosh® computer. "Combining IPScanBoard and RDP provides the opportunity to keep existing systems in place, so that anyone can benefit from the scanning capabilities of our devices without having to develop custom applications," said IPC CEO Jeffrey Scott. 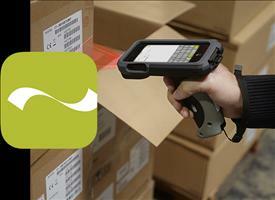 IPC's lightweight, durable Linea Pro adds a barcode scanner, capable of reading 1D or 2D barcodes, and a magnetic stripe reader to the iPod touch® and iPhone®. The Infinea Tab and Infinea Tab M add the barcode scanner and magnetic stripe reader to the iPad®, iPad mini℠ or iPad Air®. This combination facilitates multiple mobile enterprise functions, including inventory management, point-of-sale, healthcare data access and labeling, ticketing and entry access, lead tracking, inspection/work flow, dispatch and time/labor. IPC provides software development resources and tools so customers can program scanner and reader functions into their own application. The first company to mobilize iOS for enterprise, Infinite Peripherals, Inc. (IPC) is leading the mobility revolution with its enterprise mobility devices, including the Linea Pro® and Infinea Tab®, which multiple major retailers in the United States have adopted to enhance customer engagement, increase conversion rates and build business. IPC's NFC-enabled products simplify adoption of new contactless payments, such as Apple PayTM, and its Infinea® BluePad facilitates EMV payments with a contact chip smart card reader and PIN entry. Anticipating trends and pre-empting solutions for a constantly evolving business landscape, IPC's enterprise mobility products also optimize operations in healthcare, hospitality, transportation, warehouse and logistics, entertainment and security. For more information, please visit www.ipcprint.com. Connect with us at www.facebook.com/infiniteperipheralsinc and www.twitter.com/infiniteperiph.